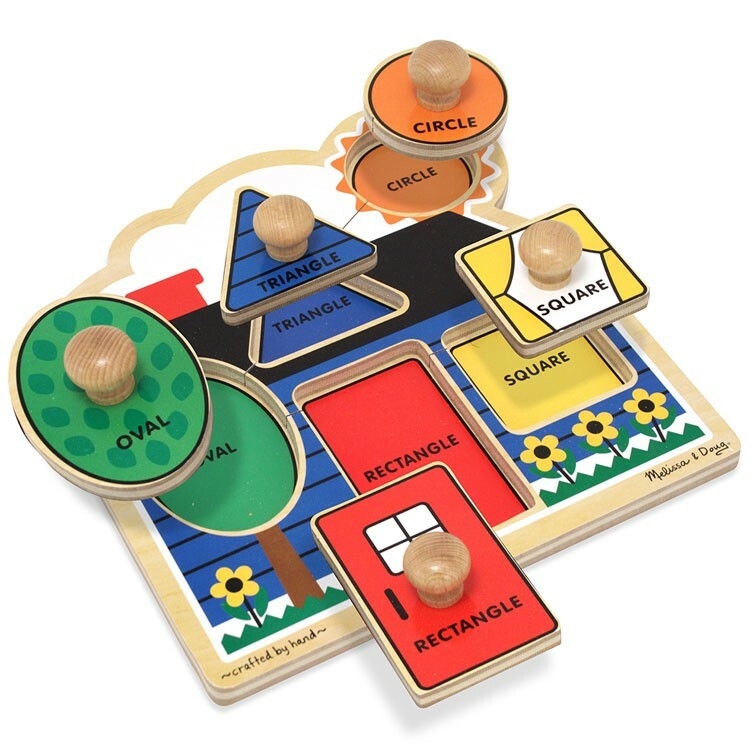 Basic geometry meets colorful fun in this Melissa & Doug's first shapes wooden knob puzzle. Basic geometry meets colorful fun! 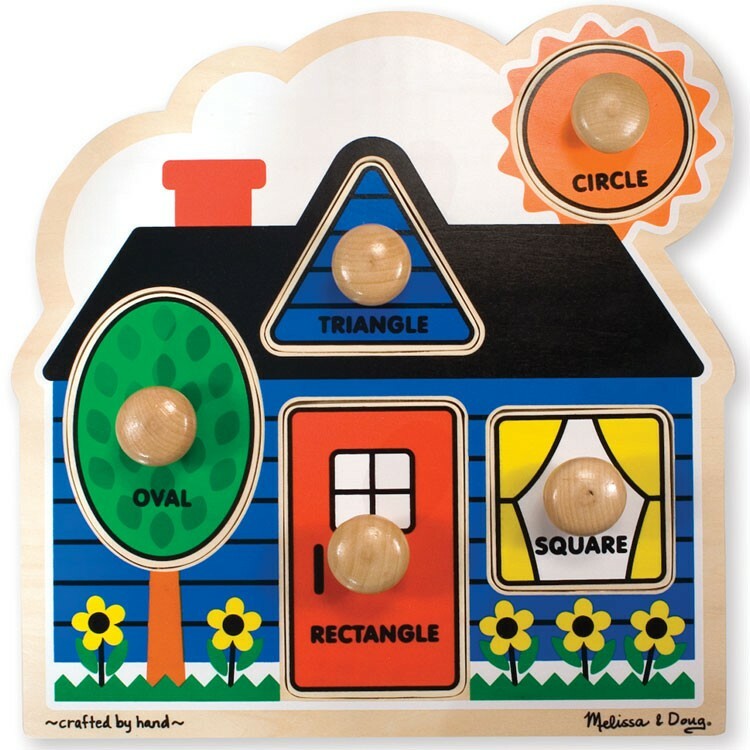 Melissa & Doug's First Shapes - Jumbo Knob Puzzle features a sturdy puzzle frame board with half inch thick chunky puzzle pieces. Combining the safest design with high quality materials will make this puzzle a classic toy in your family. Simply match each labeled shape to the proper object to complete the scene. Each piece features extra large knobs, perfect for enhancing fine motor skills. This toddler activity toy, offered by Educational Toys Planet, will introduce your child to word recognition, geometry and problem solving. First Shapes - Jumbo Knob Puzzle is perfect for babies, toddlers, and small children who are ready to learn and excited to have fun! Dimensions of package 11.4" x 11.3" x 0.9"
Write your own review of First Shapes - Jumbo Knob Puzzle. 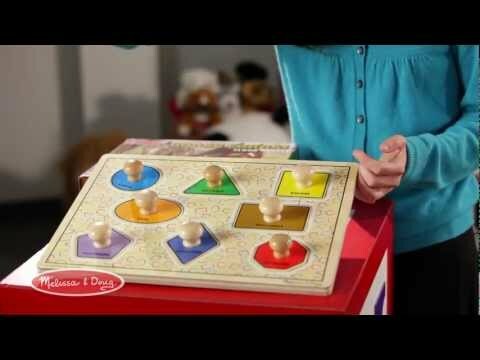 Rating: 5 Puzzle by Jessica G This jumbo puzzle is the perfect preschool toy. First of all, Melissa and Doug makes the best wooden toys on the market. They are durable, classic and well-made. 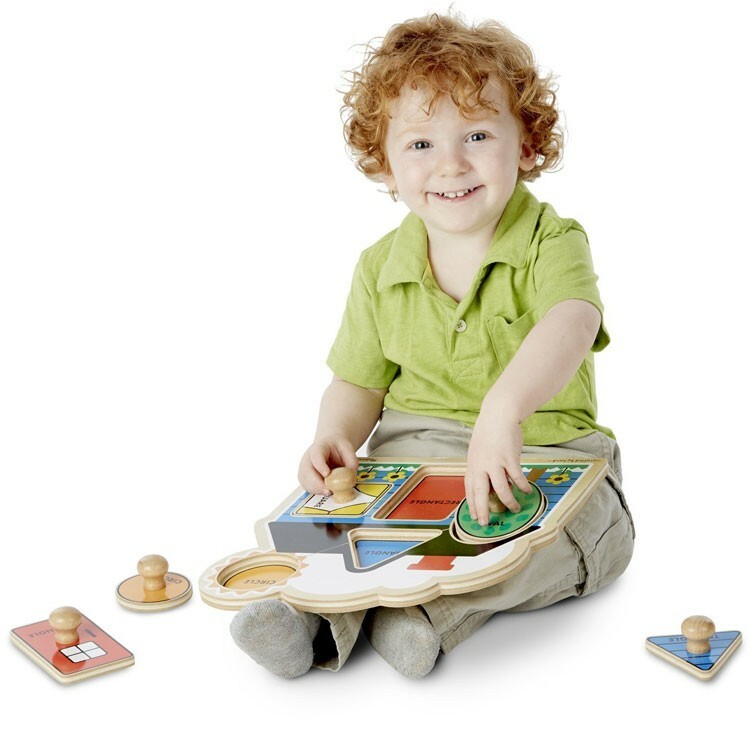 Beyond that, puzzles are ideal for developing motor skills, problem-solving and spatial skills. These types of activities build confidence and self-esteem and small children get a huge sense of independence from being able to put a puzzle together without help and puzzles with just a few large pieces allow them to do it "all by myself!" Rating: 5 by Robin, VA The big knobs were perfect for my one year old grandaughter. The circle shape is hard to put bac in.